Did you know that water does more than just keep you hydrated? Obviously, that is an important role, but water is essential in your body for three other important tasks. The ramifications of not having enough fluid in your system can start with just 2% fluid loss. 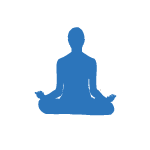 Headache, lack of concentration, dizziness, fatigue, inability to recover, and overall decreased ability to perform. Nothing that helps your training or allows you to work hard towards your goals. To avoid any of these happening to you this summer, here are a few things to include in your daily routine. Hold up your water bottle in a toast to quality summer training and good hydration! The number one rule for race day fueling; Don’t do anything new. Training with a race goal in mind, means that every run you do is practice for the race. You are training your muscles, your body, your mind, and your stomach. Learning to fuel and hydrate to get the most out of your training and racing will make a huge difference in the outcome of your performance, and it all starts in your daily practice. Pre-Race Routine. 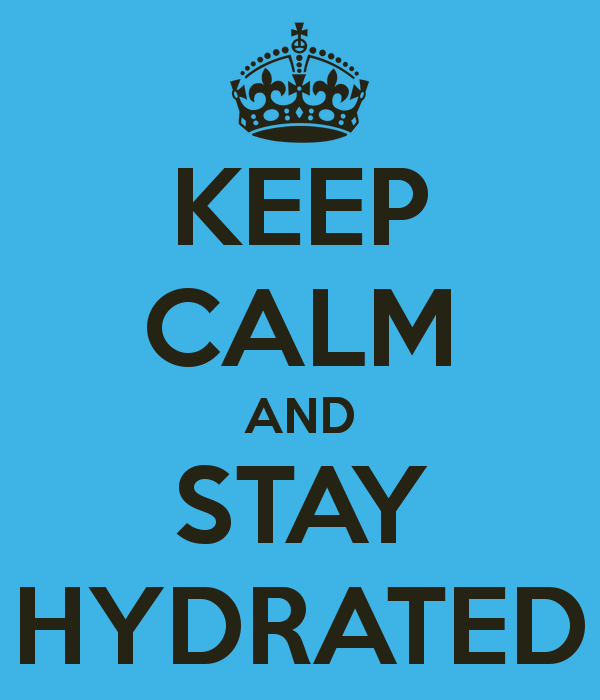 For any run over 60 minutes, you will want to eat and hydrate beforehand. (See blog on Pre-Run and Post-Run Nutrition). This is a great opportunity to eat and drink the same thing you will on race morning. Once you know what sits well in your stomach, and fuels you for your miles, then stick with it! A standard pre-race breakfast is coffee (or tea) for a little caffeine, a bagel/toast/oatmeal and banana for carbs and fuel, and 16oz of electrolyte mix for hydration. Have this about 3 hours prior to the start of your race of any distance. Try this protocol before workouts and long runs and see how you feel! Adjust accordingly to determine what works for you, and then, don’t deviate. Mid-Race Protocol. If you are doing a training run or race longer than 60 minutes, you may need to fuel and hydrate throughout. Look up what electrolyte fluid and gels the event will provide. It is very common in half marathon and marathon distances to offer gels on the course, but you want to know the brand, flavor, and if they contain caffeine. Then you will practice with those fluids and gels leading into the race to confirm they work for you. If they do not, you will need to carry your own. 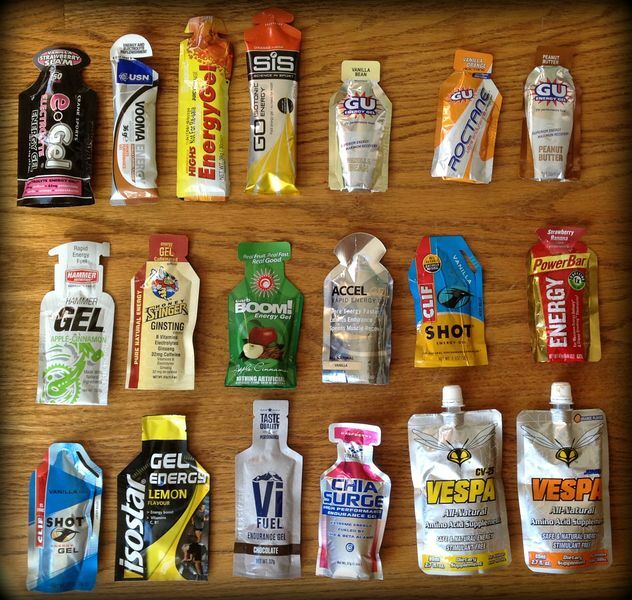 In training and racing, take gels every 35-45 minutes. Get the gel in right before a water station, and then drink water to wash it down (do not take electrolyte fluid with a gel). In between, you can take water and electrolyte fluid to stay well hydrated. If you are racing less than an 60 minutes, you will need nothing, or only water to get through the distance. Practicing your Pre-Race Routine and your Mid-Race Protocol will help you figure out what your body needs to be successful and run strong the whole way! Looking for a healthy and delicious post run snack? 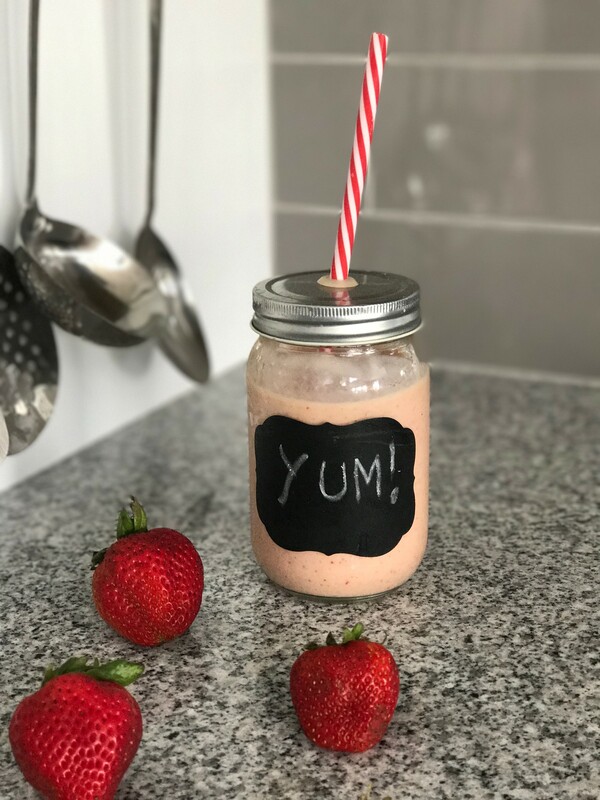 Try this protein and antioxidant filled smoothie that will be sure to leave you feeling satified. The main way to meet your goals is to follow your training plan, but it never hurts to put a little thought into what could help support your active lifestyle! Recovery, Strength Training, Consistency, Hydration, Mid Run/Race Fueling, and Pre-Run /Post-Run Nutrition are all important details that will help you feel stronger and healthier. There will be a series of blog posts on each of these topics, stay tuned! When it comes to good eating habits, the number one thing to remember is moderation. Unless you have an allergy, or know certain foods don’t sit well in your stomach, then nothing is off limits. It’s all about the timing, and learning a good routine that works well for you. There are two key times when nutrition is critical during training; pre-run, and post-run. Let’s explore these in more detail. Pre-run fueling is critical to dial in, especially if you have a sensitive stomach. If you’re a morning runner, you may not have much time to grab a snack before heading out to get in your training. Try something light, easy to digest, and carb focused for quick fuel. A banana, piece of toast, granola bar, sports chews, electrolyte mix, etc. All followed by water to wash it down and kick start your hydration for the day. 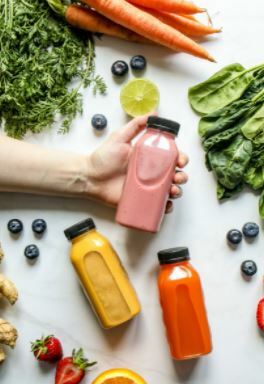 Getting in some calories and fluids before a morning run is really important because you haven’t eaten for many hours, and you may have become dehydrated throughout the night. Fueling up beforehand will help ensure the success of your training efforts. If you’re an afternoon/evening runner, than you have a day of meals to plan before your run. The morning isn’t too specific, but the meal/snack 3 hours prior to your run is very important. You will want to stick to something bland and not too heavy. A giant burrito may not leave you feeling great on your upcoming workout. Instead, try a sandwich, soup and side salad, sushi, etc. Good choices are things that are low in fats, easy to digest, and include no ingredients that irritate your stomach. Having a meal 3 hours before a run allows the body time to process and use the food as fuel. This will also help prevent cramps from eating too close to exercise. Post-run fueling is all about starting the recovery process. In a run, your muscles are put under stress, and afterwards, they need protein to rebuild. Having carbs with your protein helps expedite this process, and according to the Olympic Training Performance Center, can also help boost your immune system. If you struggle to eat solids after running, you’re not alone! Try yogurt, smoothies, popsicles, or protein enriched milk. Whatever you consume post run, focus on carbs, proteins, antioxidants, essential fats, and fluids. The suggestion is to get in 100-200 calories within an hour of completing your run. You then have enough fuel to kick start recovery, protein synthesis, and rehydration before you get in your next full meal. Finding a routine that works for you will allow your body to function at it’s best and be ready to nail those workouts as you chase your goals. 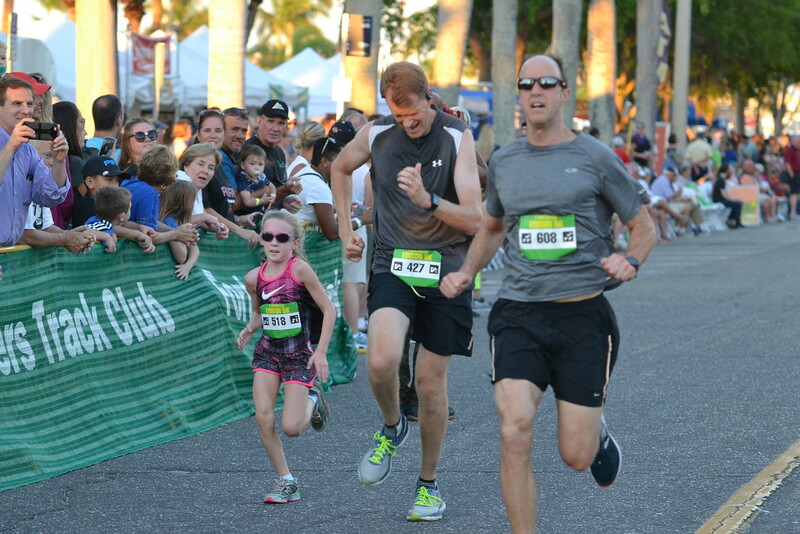 We know not every goal ends in a race, so don’t worry, we got your back. Our New Goals list has been updated to better suit your training endeavors as you progress from where you are to where you want to be. 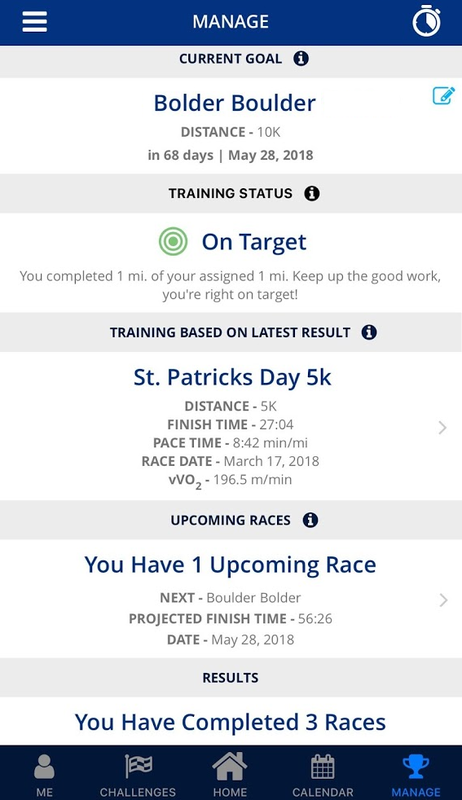 While you can still sign up using a race as your goal, these four New Goals options help you find the perfect amount of training and intensity you want in your personalized fitness program. 1-Get Started! A 12 week plan to get you moving and in a new lifestyle routine. 2-Get Faster! A 24 week plan to get you more active towards long term goals. 3-Get Fitter! A 12 week plan to get you from your current fitness to the next level. 4-Go Further! A 24 week plan to get you more miles and intensity. Michael Bravo, a My Run Plan Athlete, shares his goals, why he loves running, and how the My Run Plan training has helped him. "I love to run!" 2018 Goal Run a Boston qualifier. I'd love to go back and Improve my previous time. Major Milestone: I've run 17 marathons so far including NYC three times. I did qualify for Boston in 2011. I struggled, but it was an awesome experience. What is the secret to your success? I love to run, so my training is very consistent throughout the year. I rarely miss a scheduled workout! What is the biggest obstacle to reaching your goals and how do you get over it? Living in Southwest Florida I have to deal with the endless heat of summer. I just make sure to run my easy runs a little easier. What is the most rewarding part of training? I like to train early in the morning. It helps to energize me prior to my workday. 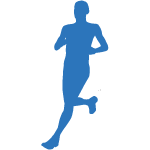 What advice would you give to other members of the My Run Plan community? Keep your easy runs truly easy to let your body recover. Don't overlook the importance of good nutrition. What feedback would you offer on the My Run Plan experience? Love the structure of the plan so far. Would like to see a strength training program to follow as well. What is vVO2 and how does it apply to me? You may have come across this term in your Runcoach, Movecoach, or My Run Plan training. vVO2 is the marker we use to determine your training paces. The little v is for velocity. 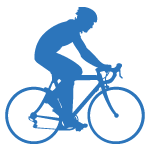 VO2 is the maximum amount of oxygen an individual’s body can use during intense aerobic exercise. Put together, vVO2 means the meters per minute covered by the individual; essentially how fast you are running when you hit VO2 effort. But wait, there’s more! vVO2 changes constantly. As your body becomes more efficient, your vVO2 will increase. 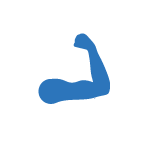 The heart gets stronger and can pump more blood, the running muscles become better developed and can handle more stress put on them, and your form improves due to repetition. This development of increased economy is what makes you faster! The more improvement you get in economy, the easier it will be to run further and faster with less effort. So how can you apply this to your training? We do it for you! The algorithms used with Runcoach, Movecoach, and My Run Plan take into consideration your current fitness to start. As you progress, your plan will automatically update to match your improvements in economy (thus increasing your vVO2) as you get faster by consistently following your training plan! Tap here from your phone or go to the new "MANAGE" tab in the app to check it out. Android update will come in April, don't think we forgot about you! Like a lot of people, David has struggled for years with his weight. Now, he plays ice hockey and is making a concerted effort to move more. He's lost 50 pounds. "I can see the difference," he says, "on the scale and in the mirror and in others' eyes." What prompted you to start working out? I've always struggled with my weight and have been on a roller coaster with diets and exercise regimens for decades. I've had one knee replaced and am about a year away from the second. Though active, I needed to do more to help with weight loss. Most importantly, my younger brother recently passed away from diabetes complications so my wife prompted me to make changes in my lifestyle so I don't have the same fate. Working out more was part of the equation. Being stronger would also help me with my other endevours! 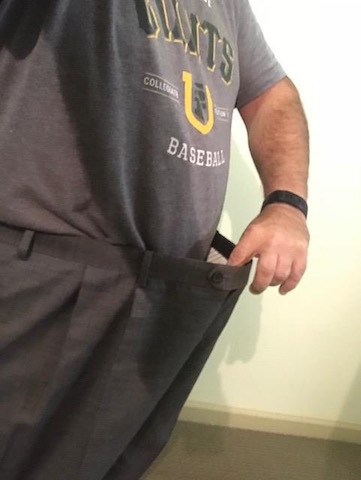 I've lost 50 pounds since our daughter's wedding in 2015, 30 since March! What is the most rewarding part of moving more? Moving more is rewarding because I can see the difference on the scale and in the mirror and in others' eyes. Diet isn't the only answer. There are 2 parts of the equation for success. Eat less and move more. What is the most challenging part of moving more and how do you get over it? Some of my colleagues look at me twice when I say I am going to the gym in the middle of the morning. I get over it by recognizing that our Wellness program is supportive. It doesn't matter when I do it in the day as long as I also get my work done, which I always do. What advice would you give to other members of the Movecoach community? Start and keep at it! Anything else you'd like to share about your experience? There really aren't any excuses. At least try and get 10000 steps in each day. 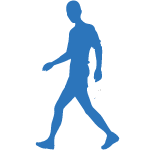 Download movecoach moves Genentech for iPhone or Android. Just eight months after being diagnosed with Lymphoma, 61-year-old Kayla Munter is training for the Aramco Half Marathon. "Running has helped me realize that cancer can't take away who I am," she says. Major milestone: I completed my first half marathon at the age of 56 in 2013 with much better time of 2:10:57 thanks to Runcoach. What is the secret to your success? Put everything you have into your training and stay on track, when race time comes you will be ready. Determination and hard work pays off. What is the biggest obstacle to reaching your goals and how do you get over it? Right now I am training for the Aramco Half Marathon in January. My biggest obstacle is the fact I am 61 now and I was diagnosed with Lymphoma in March of this year. After my first doctor's appointment I knew I had to get back to running so I could stay strong physically and mentally to beat cancer! Running has helped me realize that cancer can't take away who I am! What is the most rewarding part of training? This training season has been hard because of my illness, but every time I complete a run even if I can't do as well as I did a few years ago, I have a feeling of accomplishment. I will complete this half marathon even if my time will never be better than it was in the past. 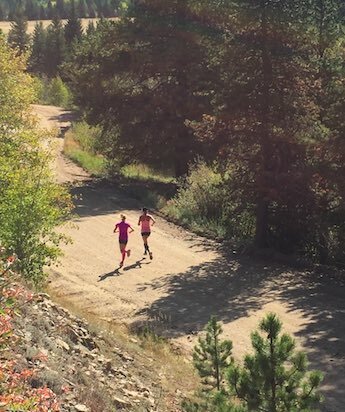 What advice would you give to other members of the Runcoach community? Stick to your running schedule. If you do, the race will be so much better. But you must also listen to your body. If your schedule has you running 9 miles and your body just can't go more than 8 miles, pay attention and stop. Maybe you are just tired that day. You want to push yourself, but not to the point of doing more harm than good. Never stop moving and never give up no matter what life throws at you. Runcoach has been absolutely great for me. I do not like to be on a group schedule, so this works perfect for me. I could never have done as well with my previou races without Runcoach. Have a story to share? Tell us about it! Ask the Doctor: I'm Injured, Now What? Ask the Doctor: Which aches and pains can you keep moving through? Which ones require medical attention?